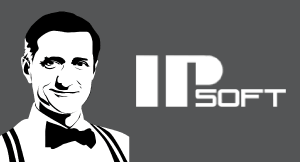 Thank you to IPsoft for underwriting CXOTALK. AI is one of the most profound technologies of our time, with practical implications for business, society, politics, economics, governance, customer experience, and even ethics. In this video interview, industry analyst, Michael Krigsman, speaks with Accenture's Chief Innovation and Technology Officer, Paul Daugherty, about his new book called Human + Machine. This conversation explores the role of artificial intelligence in business and offers practical advice for senior leaders to innovate with AI. Daugherty calls AI the "alpha trend, driving other trends and shaping what's happening with other technologies. Yeah, it is over-hyped, and there is too much hype around it, but we believe there's also a huge amount of potential and reality behind that hype. That's why it's really important to have this type of conversation; talk about the real versus the hype and separate the two." Michael Krigsman: AI is one of the most, can we say, hype-ridden topics in business today. But, do we really understand the implications of AI for business, the implications on the economy, the implications for our culture, and the role of the government in addressing these questions? I'm Michael Krigsman. 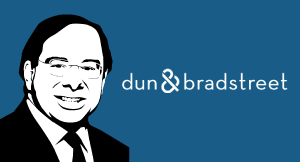 I’m an industry analyst and the host of CXOTalk. Today, we are speaking with somebody who is well qualified to discuss these issues. Before we start, I want to say thank you to IPsoft. We are in their AI Experience Lab in New York City, and I am so grateful to IPsoft for supporting CXOTalk and making this possible. Paul Daugherty is the chief innovation and technology officer at Accenture. Paul Daugherty: My job at Accenture is, as you said, chief innovation and technology officer. What my boss, our CEO Pierre Nanterme, looks for me to do is look at what's happening with technology and how we make sure Accenture, our company of 435,000 people, $35 billion in revenue and growing, how we make sure we're even better positioned for technology a few years from now. But, what you teed up, artificial intelligence, we believe is what I call the alpha trend. It's the trend driving other trends and shaping what's happening with other technologies. Yeah, it is over-hyped, and there is too much hype around it, but we believe there's also a huge amount of potential and reality behind that hype. That's why it's really important to have this type of conversation; talk about the real versus the hype and separate the two. Michael Krigsman: What is the real? Paul Daugherty: AI has been around for 60 years. The term was coined in 1956 at a famous conference at Dartmouth University. It's springing into action because of three things that changed dramatically. One was advances in computing, so we have computing power to run much more powerful algorithms, cloud computing, so that's computing data. We now have data at scale, and the cost of data is declining precipitously, and we have new sources of data: IoT, video, all sorts of new information, petabytes and exabytes of new information flowing into enterprises, so compute data. Then algorithms, we had some algorithmic advances that we made in the 2010, 2012 timeframe that allowed us to take techniques that had been gestating for a while and really gave them a new life, things like back-propagation and deep learning. If you track these things, that led to a resurgence in applicability in fields like vision, speech, and natural language understanding. That propelled us forward over the last five years. That's why it's happening now and why we're seeing this real resurgence of the 60-year-old technology. Michael Krigsman: You're talking about faster computers, more data, and algorithms. Paul Daugherty: The real interesting thing with AI is where can you do different things that you couldn't have even envisioned doing before? An example is work we're doing in the life sciences industry where we're using new deep learning algorithms to match molecular compound characteristics to therapeutic treatments to accelerate the matching process between disease and treatment and accelerate time to market for new treatments for patients, improving health outcomes, saving lives by solving problems in ways you couldn't solve before. That's doing different things and where some of the real interesting potential of AI comes in. Michael Krigsman: Okay, so it's not just a matter of efficiency, doing the same thing faster, but it's fundamentally enabling businesses to do different things that will lead to different kinds of outcomes. Paul Daugherty: There's always an efficiency benefit. Cloud computing, all these things, every technology has allowed us to do some things more efficiently. Then they open up new capabilities. AI is no different. A lot of the initial applications of AI have been on the efficiency side because that's often where businesses start where we can build business cases. We can get our ROI. That's not a bad thing. It's often where it makes sense to start. We're at a stage with AI. It's still the very early stages. We should talk more about how this is maturing. But, we're seeing the real potential being in where you can really reimagine. It's the word we use. Where can you reimagine these different things you can do and take your business in a different direction than you could before you had this technology available? Michael Krigsman: How can businesses re-imagine? This seems, to me, one of the fundamentally most important topics. Paul Daugherty: We talk about this third generation of work that we're in, the third generation of work or business that we're in. The first generation was Henry Ford and Fredrick Taylor, scientific management, assembly lines where we matched up machines with the hands of people and automated physical labor. That was about 100 years ago. Then, toward the end of the last century, in the 1990s, we had reengineering, which was automating the knowledge worker. It was still people as part of processes and made our flowcharts for re-engineering processes was people and their minds and knowledge as part of a process. That was the second generation. We think this third generation, what reimagine means, is it's not a people, a static process, and a sequential process like we saw with the hands and minds through those two first generations. It's about how you really engage the human capability of a person to be creative, to be empathetic, to improvise and use our human capabilities combined with the power of technology to work in a very different way. That enables this third generation of work that we're just entering into where you can reimagine the way you work, and it's more agile, more flexible, personalized, and adaptive way of structuring your business. That's where the real opportunity comes in for organizations. Michael Krigsman: The title of your book is Human + Machine. Paul Daugherty: Co-author Jim Wilson, who is one of our fantastic colleague at Accenture who leads our technology research at Accenture. We were sitting down about two years ago, and what we noticed is there was this meme going on. It was a discussion about automation and AI. Robots were going to, on the one hand, take over the world. We had that going on, Terminator-type scenarios. On the other hand, we had this meme of it's going to put all the people out of work, and maybe we need to be preparing for a new leisure class because none of us need to work anymore and the implications of that. We didn't believe any of that was true. We believed that the real power was the plus. It was not humans versus machines, machines fighting humans or taking over humans or putting humans out of work. It was the combination of the two creating new, more human potential for us. As I said with this third generation, we believe we're moving into a more human era that emphasizes our human characteristics. It's about using technology in a different way. That's why we wrote the book. Human + Machine is about that combination. The other thing I'd say on it is I strongly believe that the more powerful technology is and the more human-like the technology is, the more it enhances our ability to be human. We're sitting in Amelia City. If we have technologies like Amelia that could communicate with us in very human ways and understanding what we're doing and even having an emotional intelligence, emotional AI component to them, that's powerful. It allows us to communicate with these machines more effectively. That's the human plus machine that we really tried to get across with the title of the book and the research in the book. Michael Krigsman: Let's use this example of a cognitive agent. Paul Daugherty: To your point on the call centers, that's one of the most active areas we're seeing right now. I should back up and say that AI is the fastest growing trend and part of our business that we've ever seen. I've been with Accenture 32 years, so I've been through. I started on punch cards. I've been through all these trends. This is the fastest growing part of our business that we've seen, so it's being applied for real at clients. One of the fastest growing areas is in customer service and in call centers. A great example there from one of the companies we're working with that runs a very, very large customer service organization is they're using a virtual agent technology to improve their customer operations. It's offloading some of the routine tasks. It's leading in the areas where they've applied it, which is, say, 10% to 15% of the calls. They're seeing a 50% customer satisfaction rating. They're seeing 10% less customer churn. They're seeing an eight times improvement in some of their product reselling, cross-selling, and things like that. Those are pretty important benefits. It's enabling the human agents to really deal with solving human problems, the more complex cases, and the cases that require their human intervention in a more efficient fashion. That's the kind of application that we see. Michael Krigsman: In your research, did you uncover traits of organizations that make them more amenable than others to being successfully able to adopt these new kinds of technologies? Paul Daugherty: We do see some things that separate the early leaders from others that are applying AI. We talk in the book about a five-part framework that we see those leaders following. One thing that we see differently is a leadership driven, senior leadership driven, mindset around applying AI differently to the organization. It's not just AI at the edges doing small things. It's taking on something that matters to the organization, support it at the senior executive level, changing some of the behavior and culture in the organization, do something significant like, say, the digital twin example that I mentioned earlier, so this mindset and re-imagination is one consistent thing we see. There's also a need for experimentation, which is maybe a little surprising or hard thing for some organizations to do. But, those that are doing this well don't spend a lot of time doing a grand, elaborate design for it and architect this big program. They experiment. They test it out. They shut things down that don't work, and they learn from those things and move ahead through experimentation. One of the greatest examples of this, I think, is Amazon, who has done a tremendous amount with AI in their business, as well as in their cloud services. If you look at Amazon's Go stores that they implemented recently, they started small. They tested it on employees first. They improvised and innovated with the technology. Now they're scaling it and advancing it more rapidly. I think that's a great example of behavior that we see consistently with leading organizations. Michael Krigsman: It seems like this is one of the key differences between AI and, say, efficiency-driven technologies, the need to think about the mindset of the organization, the culture of the organization, and I'm sure there are implications for talent as well. Paul Daugherty: Yeah, huge implications for talent. I think that's one of the biggest things we see and maybe one of the questions that require the new work to answer. We looked at this a lot in the book, but I think talent around AI is really the issue for us and the generation that's coming. This is a long-term transition to AI. It's happening fast, but this isn't going to be over in three years. We're going to be applying this technology for many years to come. The talent issue is on two levels, and I think that's why it's challenging. One level is the talent for AI itself, the talent to do AI. That's what a lot of people focus on. They raise their hand and say, "I need more machine learning experts. I need people who do deep learning, who know convolutional neural networks," whatever the technology might be. Yes, that's important. You need those people and access to that talent in your organization. I think we'll solve that in a lot of different ways. Those are relatively small numbers of talent you need to do those things. The bigger issue is not the talent for AI, but it's the talent that uses AI. How do you change the culture and train the people that need to use AI for these different types of jobs? How do you make sure they understand it, they embrace it, they have the right background skills to understand it the right way? That's why we talk about eight skills at the end our book, the eight skills we think we need to start developing in people so that they're more ready to incorporate AI in the jobs they do, not necessarily the deep AI experts, but those that will use AI, which is most people, as they do their jobs in the future. Michael Krigsman: Paul, you've touched now on an element of organizational readiness. Michael Krigsman: Including the data. What are the other dimensions of organizational preparedness that companies need to think about? Paul Daugherty: I think we're at a point where organizations need to think about executive level responsibility for AI in a different way. I've talked before and would emphasize again; I think it's time for organizations to think about, do I need a chief AI officer? That doesn't mean that every organization needs to get out and name a new C-level post, but you better have some accountabilities at a senior level, senior management level in your organization for some things that matter in terms of readiness for AI. The three things that I've put into that bucket to think about in a chief AI officer type of responsibility, our first talent, and it's not just a talent, that's not just machine learning and technical talent, but somebody who is thinking about the workforce impact of these technologies more broadly. That's one big responsibility in terms of the readiness, being ready on both ends of that. We find, in that sense, centers of excellence in those types of capabilities are good ways to get started. A second thing that you need to put into that chief AI officer readiness category is the data, which we've talked about already. But, one thing a lot of organizations are struggling with as they start is the data is siloed. It's in different organizations. It's hard to pull together. They haven't had one view of data governance across the organization. We're working with many organizations who are starting to look at that differently and, again, create a data officer or maybe a chief AI officer, depending on how you view it, to pull those data sources together and govern it in a different way because AI runs across your business and you need to view it that way. Accountability; you need to think about where you're going to be comfortable with machines being accountable for things and where humans need to be in the loop. There are very few things you want to trust to machines [laughter], so you really need to think about the human level accountability. Transparency, which gets into explainabilty as well. Where is it okay for a machine to decide something and you have not to know why? That's a big topic we can talk about more if you're interested. Fairness; there's a big issue with data being biased, and I can talk about some examples. There have been some public examples where biased data has put companies at risk and put consumers at risk. That's unacceptable. We need to make sure that fairness is enforced. Finally, honesty; if you have a self-driving car, it should follow the speed limit. It probably can sense very easily where the traffic zones are and where the police are, et cetera, and game the system, but it shouldn't. We should be designing our AI systems to be honest and follow the rules that we've set for society. Isaac Asimov had his three rules of safe robotics. Those are what I'd say are the kind of four principles of responsible AI that organizations need to think about if they want to be ready for AI. Whether you have a chief AI officer or not, somebody at a senior level of your organization needs to be thinking about and accountable for those things. Michael Krigsman: For a company that is looking at this today, and they know that they have to address it, address this set of issues, what should they be doing now today? Paul Daugherty: We're at the very early stages in terms of really the commercial use of AI. Like I said, the big advances were five-ish years ago in this 60-year-old field in terms of really big impact and applicability to business. We're really seeing one branch of AI really being applied right now. It's the data fed machine learning branch of AI, which is one branch. There are other whole branches around symbolic reasoning and truly modeling the human intellectual process. That was best commercialized earlier in the expert systems, which kind of had a resurgence then flamed out back in the '90s, but those techniques still have a lot of promise. As we look at AI, the current path we're on with machine learning and deep learning, they're fantastic. [There's] a lot of potential to exploit them to tremendous degrees, still, for business, so no end in sight for that. But, we're going to see a lot of new innovation that's going to require a different set of disciplines and understanding as we roll together other forms of AI and look at things like artificial general intelligence and other domains that come into play here. I just want to make that point that it's not just about looking at what is here today. It's about, just as we talked about innovation earlier, you have to look at how AI itself will change and innovate. It's going to change dramatically over the next three, five, and ten years. To your point on what you do today if you're a business, I think I'd go back to, I guess, three key areas that I think every business needs to think about as they deal with this. First of all, think about the imagination and the re-imagination. What problems do you want to solve? Think about the problems I think where you can do things differently and really impact your business in an interesting way. What are the hard problems, differentiators in your business, that you could experiment and apply this to, to make a difference? Re-imagination is the first point that I'd start with. The second point would be more human technology makes us better as humans, so focus on your people. The best thing you can do is invest in your people, not just the AI developers. Invest in the rest of your workforce to start establishing the learning platforms because, with innovation that's coming, if your view of your workforce is, "I'm going to flush and replace them every time technology changes and as AI changes their jobs," you're going to have a big problem. If you take a view of, "I'm going to invest in my workforce to move them along, to incorporate these capabilities as they go," which is our approach at Accenture, then you're going to have a sustainable basis for the future. The human-plus-machine, learning-based platform that you build into your business is the second thing I'd start focusing on. The third thing is really, really take these responsible AI capabilities to heart and, whether it's the chief AI officer or something else that you do, look at how you build those into your organization to make sure you don't get into some of the traps as you look to apply AI to your business. Michael Krigsman: I can't let you go without asking you to just elaborate more on the investment in the people. Michael Krigsman: When you say, "Build a learning platform," what does that mean? Paul Daugherty: We've done an interesting thing at Accenture. We're a talent-based organization, so it's imperative to us. We have 435,000 people around the world, but we're continually recycling them. Half of those people are working on technologies that didn't exist five years ago, so we're continuously recycling the skills of the people. And so, learning platforms and continual learning is part of what we're all about. But, one thing we've done using AI, which I think there is a lot of promise, is to use AI itself to solve these problems. One of our researchers did an interesting thing. He developed a machine learning application that took the job experience of any one individual, looked at their resume, looked at what they've done, compared it to external job postings and projections on technology, and this machine learning algorithm, or this AI tool, can predict your or my obsolescence and in what period of time. It'll say, "Paul, your skills will become irrelevant in about 18 months. Time to start moving on." Then, it doesn't stop there. It says, "Based on what you know, here are the adjacencies that you should start learning because that's what'll be helpful to you in the next transition." Now, this is something that's in the early stages. It's kind of a beta tool. But, I think it points the path forward to the kind of investment we should be making to use AI itself to invest in helping our people make the transition. 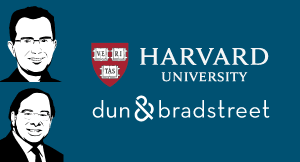 Those kind of guidance capabilities combined with platforms, learning platforms that allow people to develop these new skills are really the future and, again, why we're donating the proceeds of the book to these types of skill development programs. Michael Krigsman: Okay. Paul Daugherty, Chief Innovation and Technology Officer of Accenture, thank you so much. Paul Daugherty: Thanks, Michael. It's fantastic. Designing AI: How can you make an artificial intelligence chatbot so sophisticated that it passes the Turing test? Chetan Dube, CEO of IPsoft, speaks with CXOTalk about Amelia and AI product design from a designer’s perspective. There are opportunities for innovation in healthcare, but how can doctors, nurses and hospitals balance patient focus against economic considerations? 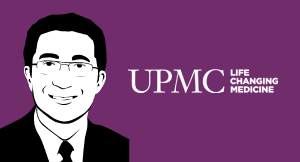 Dr. Rasu B. Shrestha, chief innovation officer at the University of Pittsburgh Medical Center, tells CXOTalk why we need digital transformation in healthcare, how to commercialize innovation, and the complexities behind delivering high-quality patient treatment outcomes. How is the insurance industry changing? 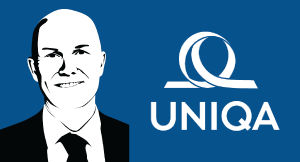 Dr. Alexander Bockelmann, CEO of the UNIQA IT Service GmbH, shares with CXOTalk about digital transformation in a large company, including phases of innovation and opportunities and challenges in a digital organization. Aaron Levie, CEO and “Chief Magician” at Box, tells CXOTalk about digital transformation in cloud computing and the impact of technology on the enterprise. What do customers want? And how does the public company maintain its pace of innovation from its startup days? The movie industry has adopted "moneyball" techniques, based on data and analytics, to drive box office success. 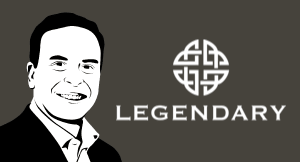 Join CXOTalk host Michael Krigsman in conversation with analytics pioneer, Matthew Marolda, to explore how Legendary Entertainment uses analytics to drive box office success. What is data science and how can we use it in business most effectively? Data science is not about the latest shiny tools, but understanding business problems and data. Industry analyst Michael Krigsman, the host of CXOTalk, speaks with one of the world's foremost data scientists to explore this exciting frontier. Myths and hype surround many discussions about artificial intelligence, big data, and modern algorithms. For this episode of CXOTalk, host Michael Krigsman, talk with two extraordinary experts who bust the myths and offer straight talk on technology as we head into 2018.